According to Smartree, the leader in the HR outsourcing market, in recent years, Romanian companies have begun to address the problem of importing employees from non-EU countries to provide human resources in sectors where there is a shortage of staff and the activity risks being interrupted for this reason. On the other hand, the high costs associated with the international employment process, together with the relatively long duration of closure of the projects, represent the most important disadvantages. Among the disadvantages are the cultural differences and the spoken language; integrating foreign employees into a new culture; a long engagement cycle, starting with the documentation and starting the procedures to obtain the necessary opinions from the state institutions; the international recruitment process; the volatility of the workforce brought. But there are also advantages for countries where a very large foreign population lives and works. They gradually turn into multi-cultural, cosmopolitan centers with a wide range of newly-formed skills that can contribute to society's progress through innovation and creativity. 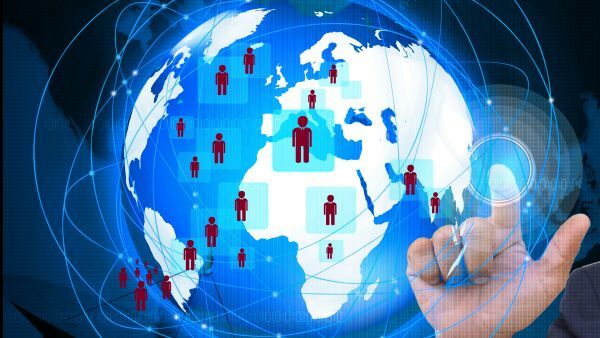 "The phenomenon of globalization encouraged migration, but also the import of cheaper labor.This is a common practice that applies to large countries such as the United States of America, where the Latin American population is predominant in some sectors of activity, but also in smaller countries such as Romania. In 50 years, the import of labor will become a necessity, doubled by the negative demographic evolution in Romania.However, the issue of immigration is extremely sensitive and politicized, especially in the current context, when some states wonder if in this race to earn cheap labor for certain jobs that the local population refuses, and loses its national identity, "said Raluca Penes, HR Smartree Coordinator. The first initiatives to recruit the labor force outside the country began to appear in Romania two or three years ago. The reasons why Romanian employers have appealed to this strategy are diverse and include the migration of certain social categories to more developed Western countries, declining birth rates, changing demands for different jobs, changes dictated by new technologies, and the inability of the education system to fits the needs of today's employers. Industries in which companies have recourse to foreign workers are: HoReCa, manufacturing, light industry, agriculture, construction, services, and most foreign employees come from the Philippines, Nepal, Vietnam, India, Indonesia, Thailand, countries where the of living is below that of Romania. For the employment of foreign workers, the Romanian employers have to go through several stages: obtaining a vacancy notice, a long-stay visa and the right to live on the territory of Romania, issuing a residence permit for work or posting purposes, and obtaining the employment notice. The latter is issued by the General Inspectorate for Immigration through its territorial formations, and the company requesting it must meet certain conditions, including no obligations to the state budget for the last quarter prior to the submission of the application or the contingent has not been exhausted annually by types of newly admitted workers on the labor market. The benefit package for a foreign employee may include the flight ticket to Romania, a common accommodation, and in some cases a transport provided from the place of accommodation at the workplace and a flight ticket to the country of origin for a certain period of time. The foreign workers can also benefit from an assured meal and a chef specific to their region. In order to facilitate their accommodation, employers can provide the group with a representative who speaks an international language.